BOWLING GREEN, Ohio — Ohio voters who have flipped between parties in past presidential elections and supported Donald Trump in 2016 now say their first choice in 2020 is ... Barack Obama. 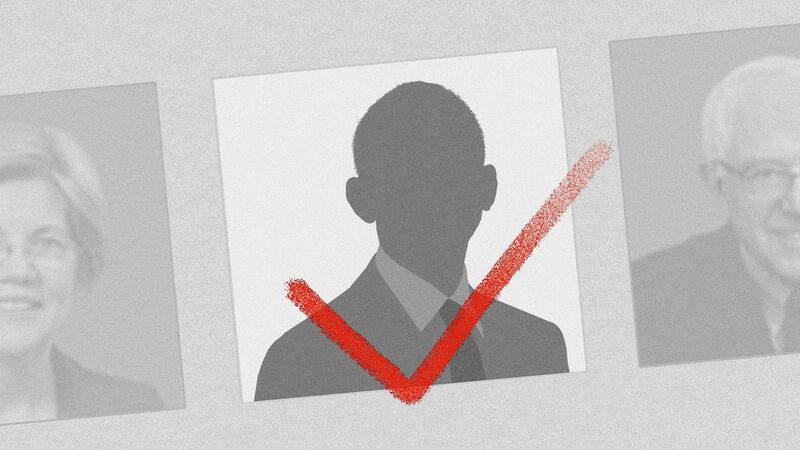 Why it matters: Obama isn't running. And none of the 18 Democrats actually running have broken through in rural Ohio as the antidote to President Trump. Five of the six Obama/Trump voters would pick Obama if he could run again in 2020. Among the reasons: Obama is "more of a diplomatic person," as one participant put it; another said he's "more intellectual." Another common refrain: "I think this country needs a sense of calmness," said Brenda R., a 62-year-old Obama/Trump voter. Yes, but: It's only April, so the Democrats running will have plenty of time to change voters' minds in places like this. But these swing voters' desire to rebuke Trump by voting for his predecessor shows the long road ahead for 2020 Democrats hoping to break through in some parts of the Midwest. Between the lines: All but two of the participants said their 2016 vote was a vote against the other candidate, not for the person they supported. "I wanted something new and different to shake it up in a more positive way," said Brenda R.
What they're saying: Christopher Martinez, a 42-year-old IT specialist who voted for Trump, said although he hasn't made a decision about who to support in 2020, "if it were someone like Obama then maybe I'd vote against Trump." His bottom line: "Somebody that's very honest and transparent." Lynn Savial, a retired librarian who voted Republican for 45 years until she went for Clinton in 2016, said Trump "has been much worse than I thought." She's looking for a candidate with "a strong personality, but someone who has high ideals. Not a person that lies like Trump ... Even if it’s something I don’t want to hear, I want them to be really honest." Christopher DiRando, a 24-year-old high school teacher who voted for Trump, is not planning on doing the same in 2020. "I will definitely not vote for Bernie Sanders, Elizabeth Warren; I just want to see a level-headed, competent person." The bottom line: These Ohio swing voters are craving normalcy, and they're defining that by who they already know — Obama. That shows how far the crop of 2020 Democrats have to go before any of them can take his place.